This plant grows BIG! If space issues are a problem then you may want to try another strain. 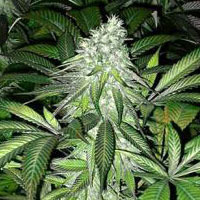 This sativa dominant plant will take over any room. It is very fruity and progresses to chocolate in taste. Enjoy the variety.